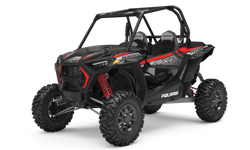 We are mighty proud to offer the very best machines from Polaris. 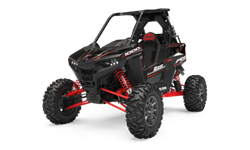 You'll find a fleet that is up-to-date, well-maintained and just plain fun. 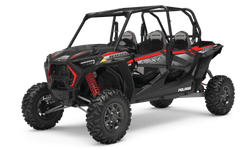 Our vehicles are equipped with RideCommand® on tablets for every machine, with many of our trails mapped out for yer ridin' pleasure! We also have a Yamaha AR210 Jetboat just in case it gets a bit dry fer ya! Happy Trails! All our vehicles come equipped with a Satellite-based NOAA Emergency locator beacon; gives ya a bit more confidence to try all them side trails out yonder. Now, if'n yer a bit challenged with direction-making, no worries! All our vehicles come equipped with Ride-Command tablet navigation...and lots o' mapped trails fer your ridin' pleasure! Now, myself, I like comfort. And our fleet's suspension and shocks are the industry's finest...you'll be amazed at just how hungrily these iron steeds eat up them bumps. It's them details that count! 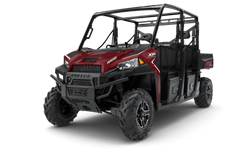 Each machine in our fleet comes with roofs, 1/2 windshield, door inserts and legendary Polaris style...yer gonna look good on them trails! It's sunny in them thar hills! Bring along sunscreen, at least 3 bottles of water per person, trail grub (snacks and meals, if desired), and a whole lot of appetite fer adventure! And remember: It can git COLD in the desert! Bring layers so ya can peel em off as the day gets warmer. Happy Trails!